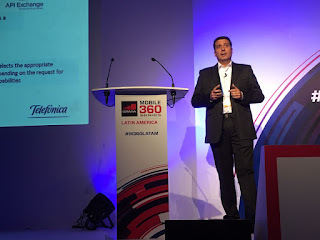 Mobile 360 - Latin America brings market leaders from Central and South America across the mobile telecom ecosystem for a two-day thought leadership conference together with operator-led Working Groups on day three. Attendees will learn and discuss key drivers in innovation in the region centered around IoT, Connected Car, Mobile Identity, Mobile Money, NFV, 5G, Media & Advertising, and more. In addition, an Innovation Showcase panel will allow start-ups to hear from venture capitalists, investors, and industry experts followed by a pitch session for the start-ups. Much focus has been placed on server integrity, internet security, cloud protection and safe data exchange in the traditional business models. What is new and must be explored is the data flow through the mobile ecosystem, specifically mobile security and data privacy. M2M and IoT will continue to grow and new security threats will emerge. How is this data being shared across the value chain? How can organisations ensure their data is safe as it travels through the network? How should companies respond to security breaches? What are the new rules with regard to privacy? How should enterprises be protected in this increasingly connected world? An increasing number of digital services, including financial and government services, are offering customers access using digital authentication and identity. Despite the complexity involved in deployment, digital authentication enables users to have a better quality of experience by giving them greater control over their own digital identities, and also enables more effective customer data management by service providers. A range of service providers are offering digital authentication and identity services today, from mobile operators to specialist companies, often utilising different technology approaches. Telefónica has played a relevant role in this session, describing how Mobile Connect is well positioned as an alternative to the password based model and explaining how this product is fully aligned with the new strategic plan announced some weeks ago by the Company: We choose it all. SIGN UP TO THE live stream! Welcome to the fourth edition of our Security Innovation Day which will be celebrated on October 6 at 3:00 pm (Madrid time) at the Telefónica Auditorium (Madrid), situated in the Central Building of the Distrito Telefónica, The international benchmark event in the cybersecurity sector, where we talk about innovation, alliances and main strategies of ElevenPaths and Telefónica. We count on reference speakers such as Chema Alonso, ElevenPaths Chairman and Telefónica CDO; and a guest star: Hugh Thompson, CTO Symantec + Blue Coat. If you are in Madrid, be sure to put this appointment with cibersecurity in your diary! Sign up now. Can't make it? Watch the event of the year on cybersecurity and innovation on live stream. Sign up here to access the live stream! There will be live event coverage on ElevenPaths Twitter account using the hashtag #SID2016.